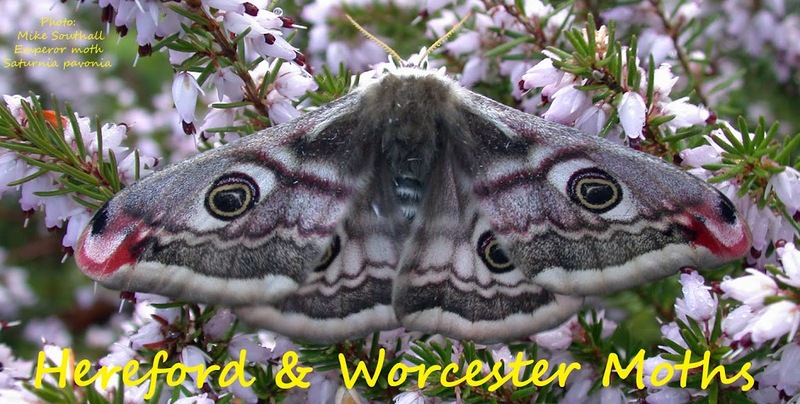 Hereford and Worcester Moths: A couple of larvae. Breaking away from the contents of the garden trap for a moment the following may be of interest. The Four Spotted Footman pictured in an earlier post produced eggs in the pot. 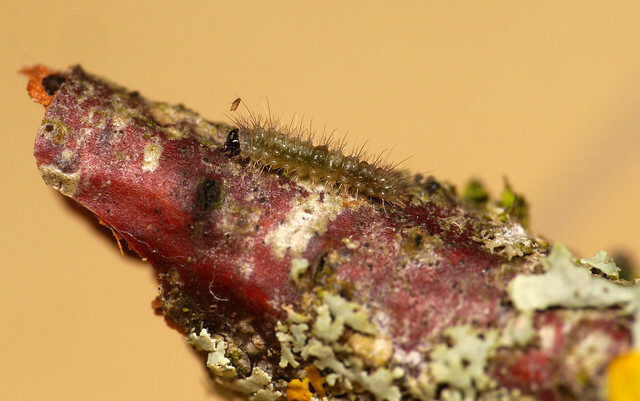 Only two have hatched but I have these feeding on tree lichens and so far doing well. With only 2 larvae I guess my chances of getting them through to adulthood are pretty slim, but you have to try these things! The other larva is Grapholita funebrana, the plum tortrix. 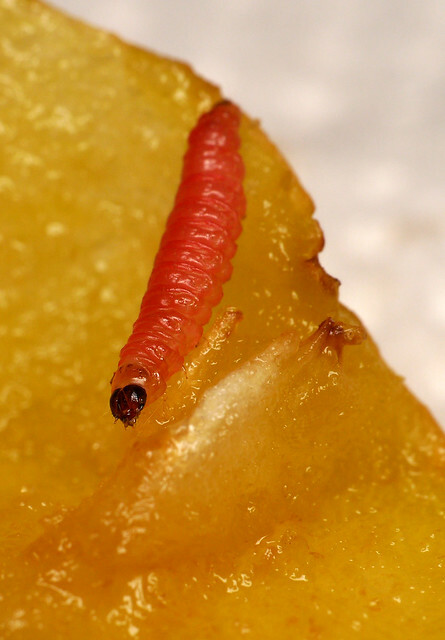 Plums are everywhere in our area at the moment so larvae are easy to find. They have now burrowed into cork to overwinter.